WHERE CAN I FIND MY PAINT CODE? Most common sticker locations are. WE DO NOT WANT YOUR VIN. If you are not sure, you can call your local auto dealer and ask for your OEM part number. If the numbers match, then this Aftermarket part is a compatible replacement. Remember that this is an Aftermarket part and NOT an OEM part. 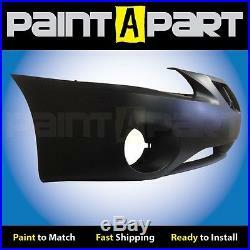 We deliver to you a custom painted part to replace your damaged bumper, fender, hood, or tailgate. Your order is delivered painted and clear coated. The paint job will match your car, truck, or SUV&###x2019;s original factory paint color. Every vehicle has a paint code that determines its color. We use your paint code to reproduce your vehicle&###x2019;s original factory paint, which we then use to paint your order. The result is a paint color that is equal to that of your vehicle the day it rolled off the factory line. PART - A brand new, OEM comparable, Aftermarket part : Our bumpers are molded from the same thermoplastic olefin composite as your original bumper. Our fender, hood, and tailgate shells are made from the same impact resistant steel as the original. The Aftermarket part number for this Aftermarket part can also be found in the listing title. 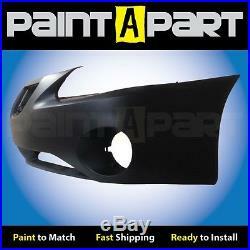 PAINT - A paint job that matches, or exceeds, the original factory color : All aftermarket parts come with factory primer. The normal paint process is two-stage. Primer: All parts are coated with a primer for adhesion. Bumpers are coated with a flexible bumper coater for both adhesion and flexibility. Paint: We spray the recommended 3 coats of clear to all our paint jobs, both to protect the paint as well as to provide a glossy shine. Clear Coat: We apply the recommended 3 coats of clear to all our paint jobs, both to protect the paint as well as to provide a glossy shine. This charge applies ONLY IF your paint code is identified among those listed in our &###x201C;Paint Code&###x201D; info tab below. We provide convenient and economical solutions to the every day "fender bender" by delivering painted auto body parts that match, or exceed, factory quality. Some orders may take a bit longer (normally if we don't receive your paint code in a timely manner), but it is out of the ordinary, and we will communicate any issues with you. The reason for this extra charge is due to the significant cost increase, compared to other colors, when reproducing these paints. In addition to the extra charge, I must inform you that 3-stage pearl white paint jobs are some of the toughest colors to match. So, while we generally don't guarantee an exact paint match, 3-stage pearl white paint jobs have a higher percentage of non-exact match. All pearl white paints or 3-stage paints. Your part is two different colors. PRH - Inferno Red Crystal Pearl. 3R3 - Barcelona Red Mica. We paint orders to match the original factory paint code, not your vehicle's current color condition. While a majority of our customers, as you can read on our feedback page, are quite happy with the results, we DO NOT guarantee a perfect paint match. The reason we cannot guarantee a perfect paint match is because a vehicle's paint job changes over time, depending on, but not limited to, age, care, and climate. Likewise, we never see your vehicle, or match a sample of your vehicle, which is why, again, we DO NOT guarantee a perfect paint match. There is always the risk that your order may result in a part in a part that is a different shade, or tone, than your vehicle. We are not the perfect paint solution, as in we cannot guarantee a perfect paint match, rather we are the economical paint solution. As stated before, the large majority of our customers are satisfied with both color and quality. Unfortunately, because we are working on individual parts, we do not take the risk of set sanding and buffing. This is because there is more risk with buffing a part when it is not securely attached to a vehicle. That said, the majority of our customers are satisfied with our finished work. If you want to go further and give your part a killer shine, a wet sand and buff is the way to go. If you receive the wrong part or wrong color i. Again, we do not guarantee a perfect paint match and an order that is a shade off from your vehicle may not be considered wrong? This listing is currently undergoing maintenance, we apologise for any inconvenience caused. &###xA0;_gsrx_vers_827 GS 7.0.13 (827). 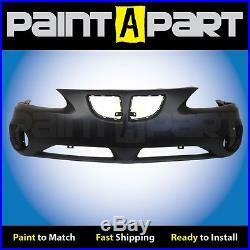 The item "2004 2005 2006 2007 2008 Pontiac Grand Prix Front Bumper (GM1000698) Painted" is in sale since Sunday, June 1, 2014. This item is in the category "eBay Motors\Parts & Accessories\Car & Truck Parts\Exterior\Bumpers & Parts". The seller is "paintapart" and is located in Houston, Texas.